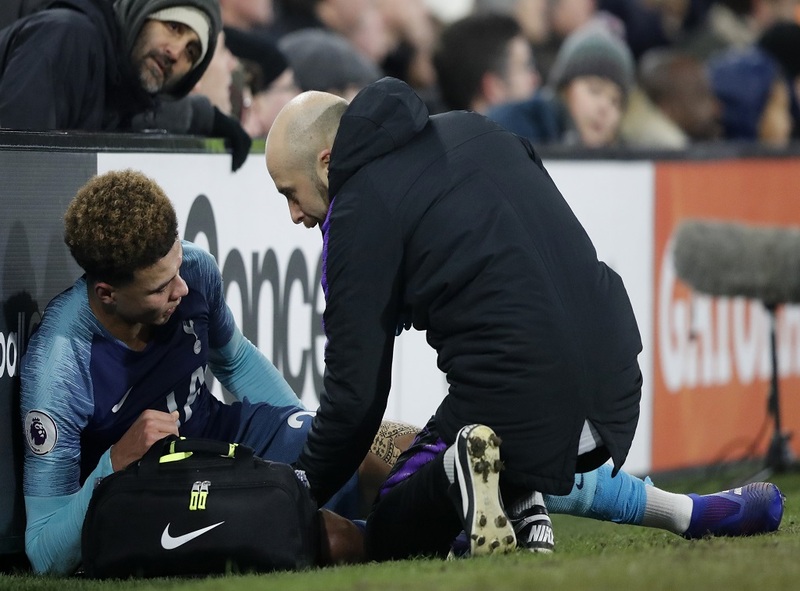 Tottenham Hotspur's Dele Alli recives medical attention to an injury off the field of play during the English Premier League football match against Fulham at Craven Cottage in London, Sunday, Jan. 20, 2019. 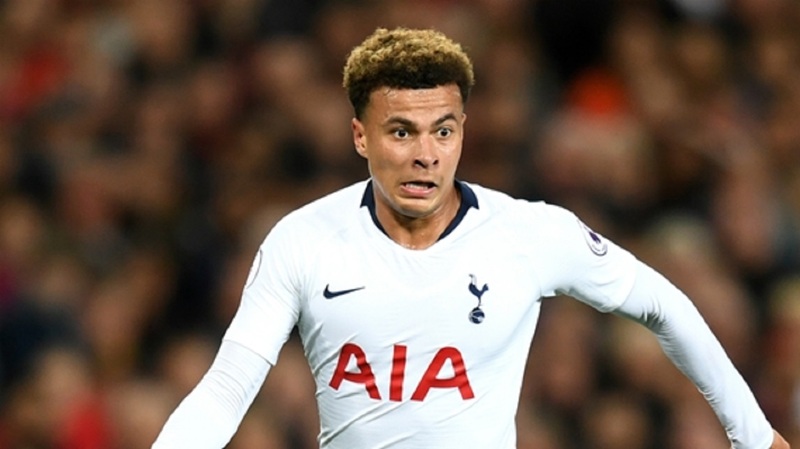 Tottenham midfielder Dele Alli has been ruled out until March because of a hamstring problem, further limiting the Premier League team's attacking options in a key period of the season. Alli was hurt in the final minutes of Tottenham's 2-1 win at Fulham in the league on Sunday. He underwent scans and the club said Tuesday the England international will start his rehabilitation "with the expectation of returning to training in early March." That is when top scorer Harry Kane is also expected to return to training following an ankle injury. Son is with South Korea at the Asian Cup and isn't expected back until early February, which would mean he misses at least four more games in all competitions. 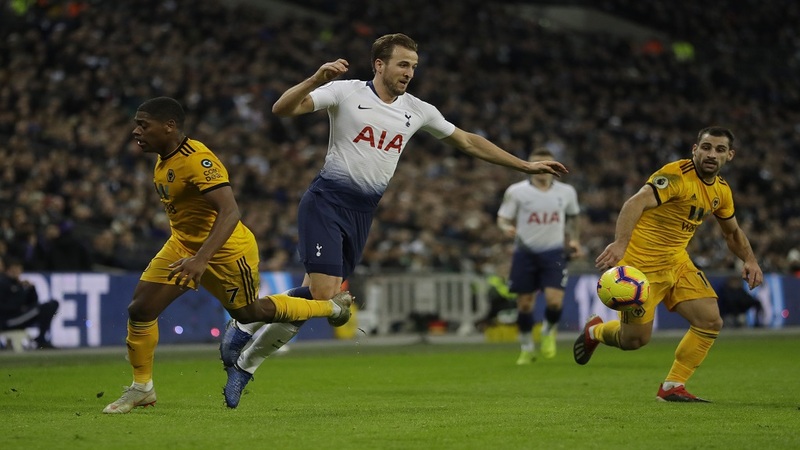 Alli will miss both legs of Tottenham's Champions League last-16 match against Borussia Dortmund, as well as the second leg of the English League Cup semifinal against Chelsea on Thursday. Tottenham holds a 1-0 lead from the first leg. 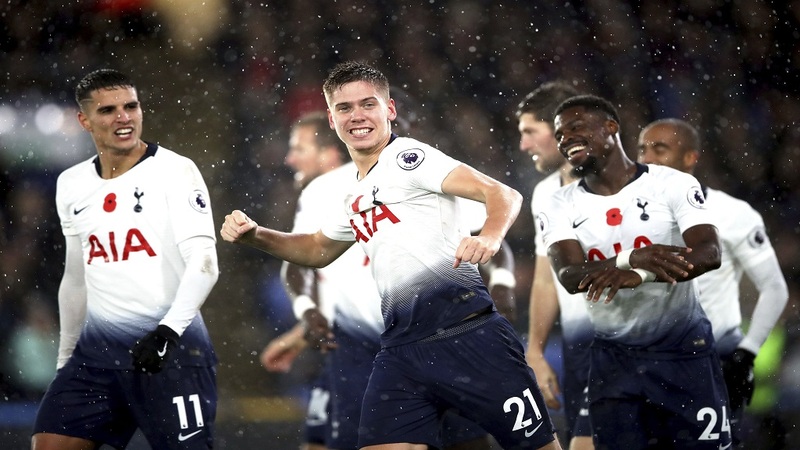 Tottenham is in third place in the Premier League, nine points behind leader Liverpool. It is also through to the fourth round of the FA Cup, with Pochettino's side away to Crystal Palace on Sunday.